Bacteria that most of us are aware of are supposedly ‘BAD’ and have ill effect on our health. But, what if I tell you there are ‘Good Bacteria’ as well. Surprised! Then don’t be. 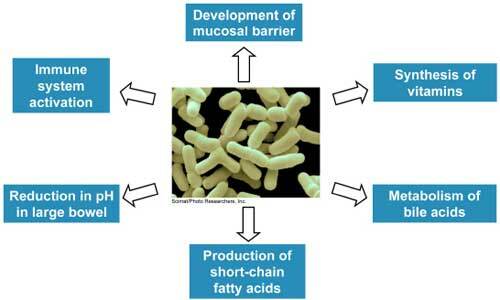 There are indeed bacteria which are actually good for us especially for our digestive system. Most of us are aware of Preboiotics and Probiotics but, are you aware of their function? They largely help in absorption and digestion in other words it means it improves gut system. Probiotics are naturally found in your gut. They are actually live micro organisms that balances gut flora and increases immunity. Probiotics is also used for treatment of irritable bowel syndrome, for specific allergy symptoms, reduce symptoms of lactose intolerance. Probiotics are found in dairy foods including yogurt, cheeses, kimchi, sauerkraut, miso, tempeh and soy beverages. Probiotics helps to protect the body from infection. It helps with better digestion and nutrient absorption apart from helping in detoxification and cleansing our body. Probiotics have been shown to support liver function. Unfortunately, there are numerous factors which creates imbalance between “good” and “bad” bacteria, and thus interfere with our body’s natural ability to heal and detoxify itself. It is done by chlorinated water, stress, oral contraceptives, refined foods and poor digestion, antibiotics also affect the gut flora. Probiotics can be consumed in supplement form but, while buying them it’s bioavailability is equally important as not all Probiotics gets absorbed. There are also supplements available in the market in form of capsule (for adults), powder (for children) and liquid too. However, it is always better to opt for natural sources over supplement as sugar present in it makes our system environment acidic. This acidic medium kills the ‘good’ bacteria and aids to grow ‘bad’ bacteria. Thus, probiotics are unable to work efficiently. Be sure to include food sources of prebiotics and probiotics on your grocery shopping list because they aids creating a healthier you.